Unfortunately we have carried that into the church as a whole as well. Today’s church has become full of individuals that want everything done his or her own way. We want to sing our favorite songs, have our favorite colored carpet/tile, we want to have a preacher our age, we do not want to associate with anybody not of our likes or characteristics, and we DEFINITELY don’t want to associate with any other denominations. Almost everything is built around how we can be satisfied NOW…even within the church. It is sad to say that this is even true within Student Ministry. In many churches, Student Ministry is almost a separate entity unto itself. They have their own building, their own furniture, their own evening to meet, their own worship team, and very seldom do you see a youth program that mingles with other generations. As youth leaders, we also find ourselves singing our desired music, teaching our desired topics, painting the walls how we want them to be painted, setting the lights how we want, playing the games we want, and going to the camps and retreats that are suitable for us. I understand that these are very important aspects of a Student Ministry, but how much time are we truly seeking the Holy Spirit before we make decisions? Also, whatever happened to a youth program being a “vital” part of a church, not a “separate” program of a church? Too often I hear everything about a church, and then they talk about the youth program, or I hear all about the youth program but nothing about the rest of the church. Our conversations should include both the church and student ministry in the same context! 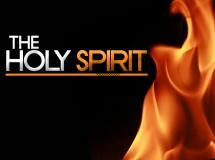 I believe it comes down to one thing…we have lost sight of the Holy Spirit. You may ask, “What does the Holy Spirit have to do with our talk of the church or what color the carpet is?” It is simple…we box ourselves in to the extent we only focus on what we want, not on what the Holy Spirit wants. Therefore, we only talk about and look for our own personal desires. I am not saying this as a Student Ministries Pastor, but as a member of the body of Christ. Yes, I may be bias towards Student Ministry, but God has called me to an even greater mission field, and that is to show His love to everyone I come in contact with, not just students. So, how can we integrate the Holy Spirit into every aspect of our lives, including the ministry God has called us to? We must first train our students on who the Holy Spirit is and what He can do for us. Francis Chan’s book, Forgotten God talks about reversing our tragic neglect of the Holy Spirit. I believe our youth cannot comprehend who the Holy Spirit is, and therefore do not utilize His power. We want to do everything on our own, instead of allowing the Holy Spirit to use us for God’s honor and glory. We box ourselves into a room, or a group, or a denomination and do not experience the true power of the Holy Spirit. As youth leaders, we must also disciple our students on how to use the gifts given to us by the Holy Spirit. Now I am not going to go all Pentecostal (sorry…please don’t take that personally) here, but too often we try to make it through life on our own abilities. We miss the gifts, talents, and abilities given to us through the Holy Spirit. God has given us everything we need to be “more than victorious” in life, but we must be willing to grasp ahold of it and use it. It is the Holy Spirit that leads us to truth, holds us accountable, comforts us, and convicts us of sin. We must be aware of what He can do and utilize what He has given us. What does this have to do with Student Ministry and the church? If we were truly aware of who the Holy Spirit was we would understand that life and ministry is not about us. It is not about our desires. It is not about our comfort zones. It is truly about bringing honor and glory to God. Student Ministry can be utilized even greater if we put aside our selfish desires, seek God’s face, and desire to be filled with the Holy Spirit. Imagine how many teenage souls we would see come to Christ if our students understood the power and impact they could have through the Holy Spirit!!! Ultimately, imagine how great and prosperous the body of Christ would be if we completely relied on the power of the Holy Spirit!